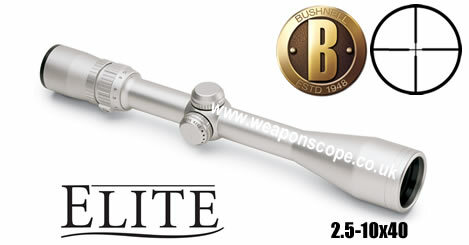 Please note that we are still updating our Bushnell Riflescopes section. Please keep checking back for updates! Light him up. 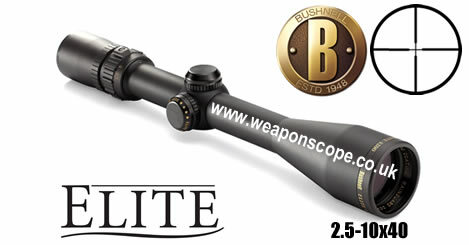 With the worlds brightest riflescope, youre equipped to do so in the dimmest conditions. 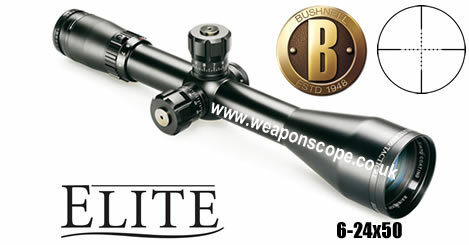 The fully multi-coated optics deliver an amazing 95% light transmission at 550NM. Our Rainguard® anti-fog coating and FireFly reticle give you deadly command of your shot through any weather and every minute of legal time. Its even recoil tested with 10,000 rounds of .375 H&H. Ultra-bright. Clear. 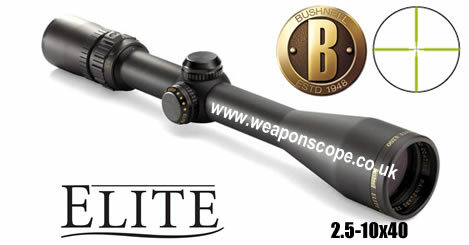 Accurate and dependable in extreme conditions. 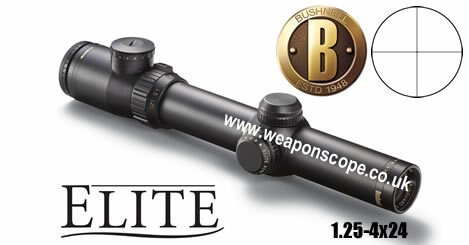 Its simply the most lethal riflescope ever made. Rainguard®  Fully multi-coated optics  Magnum recoil-proof construction  One-piece hammer-forged tube  100% waterproof/fogproof/  shockproof construction  Dry-nitrogen filled  1/4 M.O.A. 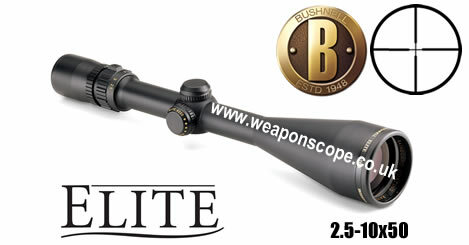 or finer fingertip, audible/resettable windage and elevation adjustment  Elite® Bullet-Proof Warranty. Target turrets  Side parallax adj  Sunshade  Parallax focus from  25 yds. to infinity.